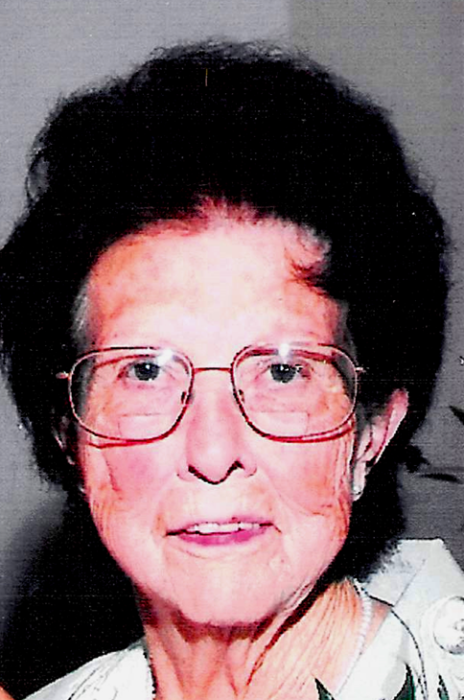 Loretta Lear Peek, age 86, of the Geneva community in Lincoln County, KY, passed away in Stanford, KY on Wednesday, December 5, 2018. Loretta was born on Thursday, July 21, 1932 in Hiatt, KY, and raised in the Brindle Ridge area of Rockcastle County, KY. She was the daughter of the late Givens Terrell Lear and Maggie Lou Sargent Lear. Loretta was a loving mother and grandmother to her family. She retired from Palm Beach Company in Danville, KY and Somerset, KY, where she started working at the age of 20 and retired with 42 years of service (1952-1994). Those left to mourn her passing are her four children, Helen McCoy of Prestonsburg, KY, Richard Leslie and wife Delilah Peek and Joel Peek both of Hustonville, KY, and Gail Ware and husband Larry of Walltown, KY; two granddaughters, Sarah Ware Duncan and husband Billy of Walltown, and Lore Ware Patterson and husband Josh of Campbellsville, KY; two great-granddaughters, Gracelyn Mae Beeler and Kaylee Shay Duncan both of Walltown; one step great-granddaughter, Makayla Durham of Williamsburg, KY; brothers, Wayne Lear, Sr. and Everett Doug Lear both of Brodhead, KY, and Ray and wife Torsha Lear of Mt. Vernon, KY; sisters, Sue Sowders of Brodhead, and Edith Ponder of Berea, KY; and several nieces and nephews. Loretta was preceded in death by brothers and sisters, Eva Lear, twins-Earl & Derl Lear, Herbert Lear, and Melba Antle; the father of her children, Richard James (Dickie) Peek; and son-in-law, Gene McCoy. Funeral Services for Loretta will be 2:00PM Saturday, December 8, 2018 at Fox & Friend Funeral Home in Stanford, KY. Bro. Greg Powell will officiate the service. Burial will follow in Oak Hill Cemetery in Rockcastle County, where she will join her parents and siblings on the ridge where she was raised. Loretta’s nephews will serve as Active Pallbearers. The Visitation will be held 11AM-2PM Saturday at the funeral home. Fox & Friend Funeral Home, Stanford, is entrusted with Loretta’s arrangements. Guest Book at www.friendfuneralhomes.com.